The Supreme Court’s judgment in the State of Tamil Nadu Rep. By Its Secretary Home, Prohibition & Excise Dept & Ors v K.Balu, on December 15 last year, and its March 31 modification order in the same case, have earned a lot of criticism in the media. The adverse response to the Court’s rulings is not a surprise, given the power wielded by the liquor lobby in every State. However, the nuts and bolts of the criticism need to be analysed, if only to understand the Supreme Court’s judgment and the order better. The alarming statistics on the occurrence of road accidents is the reason behind the Supreme Court’s extraordinary intervention. “The law can only imperfectly alleviate the consequences of road accidents. In terms of personal suffering caused to individuals and families as well as in terms of deprivation caused to society of its productive social capital, road accidents impose unacceptable costs”, the judgment begins to say. Justifying its intervention, the Court said that the parameters for the exercise of its jurisdiction are confined to the familiar terrain of enforcing the constitutional right to lead a life of dignity and self-worth. In 2014, on the national highways, there were 1.24 lakh accident cases resulting in 1.35 lakh persons injured and 46, 110 deaths. During the same year, on state highways, there were 1.13 lakh accident cases resulting in 1.24 lakh injured and 39, 352 deaths. The expressways witnessed 4208 accident cases, 4229 injured and 1802 deaths. During the same period, 7307 accident cases involving driving under the influence of drugs/alcohol resulting in 7398 injuries and 2591 deaths, were registered. The judgment claims that in regard to the figures of death or injury due to drunken driving there is a tendency to underestimate or under-report in order not to impede the right to victims and/or their legal heirs to receive compensation. The actual figures, it would suggest, are much more than what has been reported. The National Road Safety Council (NRSC), an apex body for road safety, established under Section 215 of the Motor Vehicles Act, 1988, had recommended way back in 2004 that licences for liquor shops should not be given along the national highways. Since 2007, the Ministry of Road Transport and Highways [MoRTH] has consistently advised all the state governments to remove liquor shops and not to issue fresh licences to liquor vends along national highways. In 2011, the Ministry itself acknowledged that drunken driving was the leading cause of road accidents with as many as 27,152 road accidents being caused under the influence of alcohol. It is not as if the existing law lacks the teeth to deter drunken driving. Section 185 of the Motor Vehicles Act, 1988 seeks to impose penalty of imprisonment. And the Ministry found to its dismay that its advisory seeking removal of liquor shops along national highways, and bar on issue of fresh licenses to new liquor vendors to open shops along national highways did not have the required effect on the States. Section 185 of the MV Act imposes for the offence of driving under the influence of a drug, leading to incapacity of exercising proper control over the vehicle, imprisonment for a term which may extend to six months, or with fine which may extend to Rs.2000, or with both. A repeat offence, committed within three years of the commission of first offence, would result in two years imprisonment, or a fine of Rs.3000, or with both. One does not know how effective this has been since its enactment. Reports suggest that the fine for drunk driving has been proposed to be increased by five times to Rs.10000, and if the victim is killed, it is a non-bailable offence punishable by upto 10 years imprisonment. But harsher laws alone have never been successful in bringing out reform of mindsets in society. The MoRTH has stated that in 2012, 23, 979 road accidents were caused due to drunken driving resulting in 7835 deaths and injuries to 23, 403 persons. The Supreme Court also recorded that the existence of liquor vends on national highways is in the view of the NRSC and MoRTH – expert authorities with domain knowledge – a cause for road accidents on national highways. As the court put it: “For a nation on the cusp of economic development, India can well avoid the tag of being the accident capital of the world. Easy access to liquor shops allows for drivers of vehicles, to partake in alcohol, in callous disregard to their own safety and the safety of others,”. The Court was aware of the possibility that a driver can acquire liquor even before the commencement of a journey, or during a journey at a place other than a national or state highway. Still, the Court wanted to defer to and accept a considered view formed by an expert body, especially on policies dealing with safety. Enforcing the policy of the Centre to safeguard human life is abundantly necessary because of the existence of liquor vends, and advertisements with sign boards, drawing attention to the availability of liquor. Almost all the critics of the Supreme Court’s judgment and the order have pointed to the loss of excise revenue to the States due to the ban on the highway liquor shops. Anticipating this, the Court explained that it aimed to regulate the grant of such licences in a manner that would ensure that the consumption of alcoholic liquor does not pose dangers to the lives and safety of the users of national and state highways. In the case of areas comprised in local bodies with a population of 20000 people or less, the requirement of maintaining a distance of 500 metres from the outer edge of the highway or service lane, for the location of the liquor shop, shall stand reduced to 220 metres. This was because of the grievance that the entire local area may fall within the prohibited distance. The entire Himachal Pradesh would qualify for this relaxation. Meghalaya and Sikkim, on account of their hilly and forest terrains, are exempted from the application of the 500 metre distance requirement. According to reports, many State Governments have begun to denotify state highways to evade the rigour of the law. The Court also refused to relax the prohibition confining itself to shops involving sale of liquor, meaning bars and restaurants are not exempted. Senior counsel, Aryama Sundaram, has expressed the view that Article 142 of the Constitution, which empowers the Supreme Court to pass orders to do complete justice to parties, has become as uncertain and elastic in its use as an anteater’s tongue. The Supreme Court has relied on Article 142 to justify its extraordinary intervention in this case. 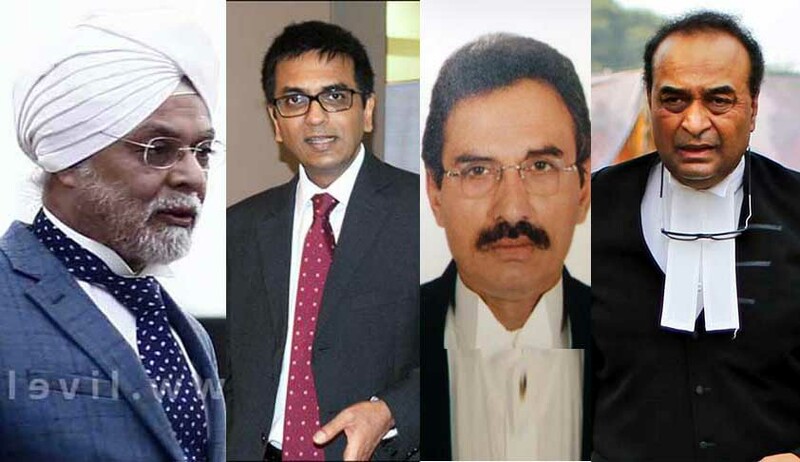 Sundaram is of the view that Article 142 should be sparingly used where there is a legislative or executive void and comes into play when the conclusion is founded on statute or law but a remedy has to be created. “Surely, its purpose is not replacing the wisdom of other institutions with that of the judiciary”, he has said. The question that remains unanswered in this discourse is where were all the critics when the Centre repeatedly sent advisories to the States to close liquor vends on the highways, as a remedy to rising number of accidents. The AG, who tried his best to oppose the Court’s judgment in the case, did not criticize the Centre’s policy in this regard earlier, and which became the basis for the Court’s intervention. He did not and could not oppose the Centre’s policy during the hearing of the case either. It was not clear whether he was arguing in this case as the AG or a counsel for any of the State Governments, most of whom have been guilty of defying the Centre’s advisories on this issue all these years, thus forcing the Court to intervene. The Central Government was represented by another Senior Counsel supporting centre's policy. If one reads the judgment and the order carefully, it is clear that the Court is not fully convinced about the merits of the Centre’s policy, but only deferred to it because it is the domain of experts. Until another expert body comes up with data to dispel any perceived link between highway liquor shops and rising number of highway accidents, pleas for relaxing the Court’s ban do not appear convincing.